Your countributions are welcomed. Click here to submit one. Things not to be done / not allowed in Islam. Pig is stated to be a haram (forbidden) food, but not a haram (forbidden) animal. Pig's meat is termed as forbidden food in Islam. Now it is also proved scientifically that its meat causes different dieseases like; tape worms etc. But its useless killing is not allowed, unless and until it is killed in self defense, there is no order of "kill at sight". "Honour killing" is allowed under Shariah, but only throught the way described. Shariah laws include "honour killing" but it is taken under special condition. First of all to execute a Shariah punishment, Shriah must be enforced officially. Also the punishment must only be executed only under the orders of a Qazi or Judge. Otherwise such punishment is a murder, and can be trialled in court. Click here for more on Shariah. Is vagetarianism haram according to Islam? Allah has told us that the animals and plants other then those of stated to be haram are eatable, and that all the eatable are of some usage. Being a vagetartaian is not unIslamic, but is not even favoured by Islam. 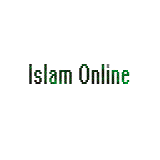 For a fatwa terming vagterianism not against Islam, click here. Is going to gymnasium, swimming pool and other similar places forbidden for women? Such places where there is no difference kept between men and women, Islam do not allow women to go to such places. But if such is in someones private property or at a place where difference is kept, women can do swimming, exercise, etc. But still it must be made sure that no "non-mahram" is present at such place. For more click here.